In partnership with major mobile carriers, satellite networks and leading device manufacturers, M2M Global Solutions provides superior M2M services to System Integrators, Application Providers and End Users in numerous M2M verticals. We offer customized M2M price plans depending on your geographic area, the cross border functionality required and your global connectivity needs. Our hybrid tracking service is strategically placed between satellite and mobile for the most reliable service available. Our service offerings include everything from Global Flat Rate Roaming to Geolocation Lookups (Cell/WiFi). Choose one of the services below to learn more about how we can help you. Global Data Connectivity Starting At 0.80€ per MB! M2M Global Solutions is the global leader in enabling service providers to seamlessly connect devices even across challenging regions such as Middle East and Africa (MEA). Our M2M Sims work across all mobile network operators giving secure point to point connectivity for IoT applications. Worldwide Single Private APN, VPN, Static IP Ranges and guaranteed SLAs shall create business packages precisely to the needs of your clients. M2M Global Solutions provides reliable, resilient and cost-effective connectivity to 1400 mobile networks worldwide. Select one of our M2M Connectivity Tariffs (Classic/Remote/Hybrid) and ensure your applications are “always-on” with primary coverage delivered via the most modern 2G, 3G, 4G cellular carriers. 25MB Superior Mobile Coverage Starting At 12.90$/Mth! Best Local & Global Coverage – positioned between satellite and mobile data plans extending mobile coverage in rural and remote areas! 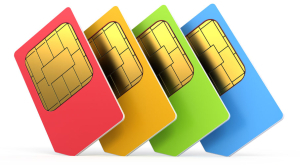 M2M Global Solutions m2m-sims have access to more than 1400 networks worldwide and rely on the infrastructure of the global key players in the telecom industry. ToQsim community members can call each other for a few cents per call or for free even while traveling abroad. Our stellar international voice roaming service offers high quality voice calls at a fraction of the fee. ToQsim is a voice callback service built on the latest in mobile technology. When you dial an international number, ToQsim picks up and calls you back with a connection to the number you dialed. The call travels entirely through our partnering networks, creating huge savings and achieving excellent sound quality no matter where you are. Our cloud-based Geolocation Lookup DB service (GLDB) works by looking up MCC / MNC / Cell-ID / LAC and WiFi positioning information on our database retrieving the physical address of mobile assets. Use Geolocation Lookup DB (GLDB) to lookup the physical location of any mobile device with a GSM/WCDMA/CDMA modem. There are more than 65 million Cell-IDs from more than 1000 operators in the database we use. For increased accuracy, we combine Cell-ID data with WiFi data. This combination lets us locate mobile devices with WiFi capability with an accuracy of about 40 meters in urban areas. Geolocation XAPI is a cloud-based cell triangulation service that generates positioning data in situations where standard satellite GPS fails to locate a mobile device equipped with our M2M Sims..
Our Geolocation XAPI service helps you locate physical assets and cellphones virtually anywhere by initiating a connection to the SIM card’s phone number and triangulating a location even in the absence of GPS signals. Take note that this service is only applicable to devices using our M2M Sim cards. Which leaves us wondering why other card makers are so far behind in their technology.